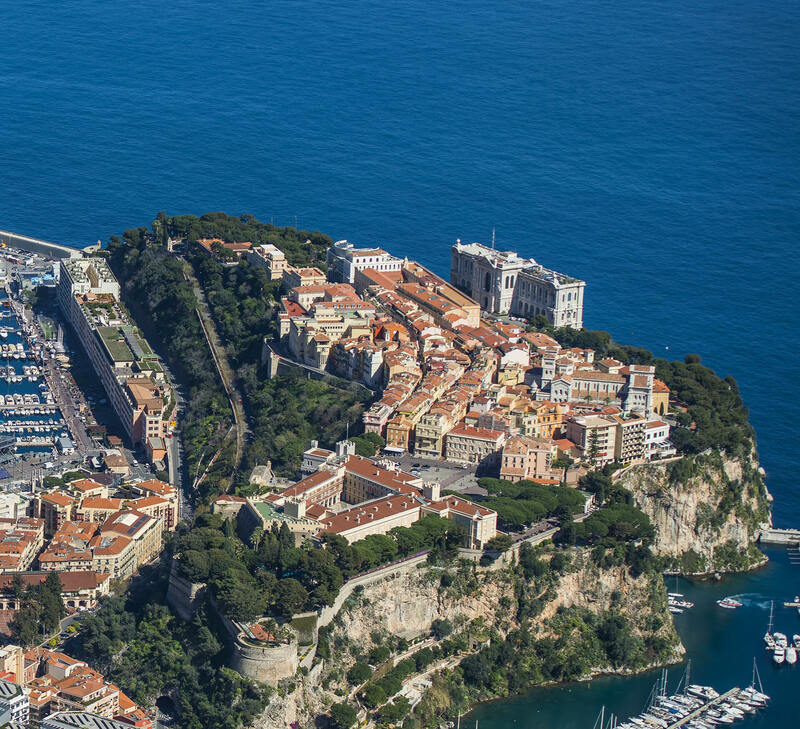 MyMonaco embraces the Monégasque way of life, providing an in-depth portrait of the idyllic and widely celebrated principality. 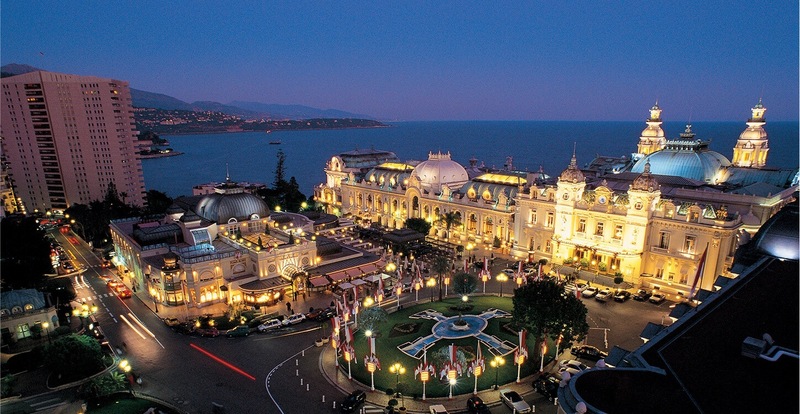 Combining world-renowned spots with recently uncovered treasures, MyMonaco gives users a multifaceted view of one of the most prestigious locations on the planet. 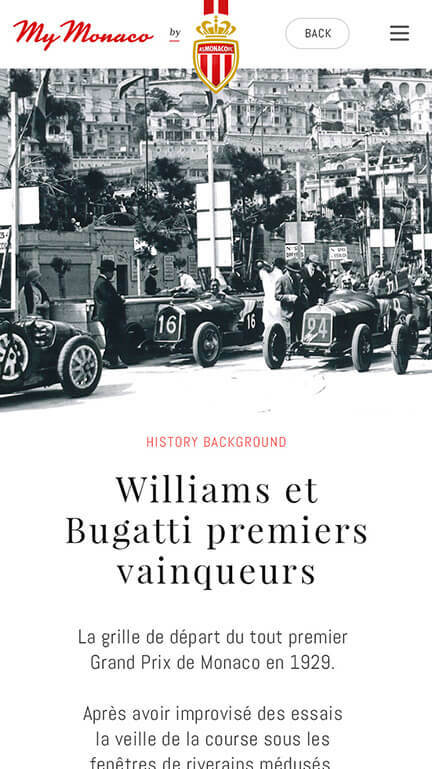 With its intuitive navigation, fascinating storytelling, and stunning imagery, this digital world brings the riches of Monaco to life. 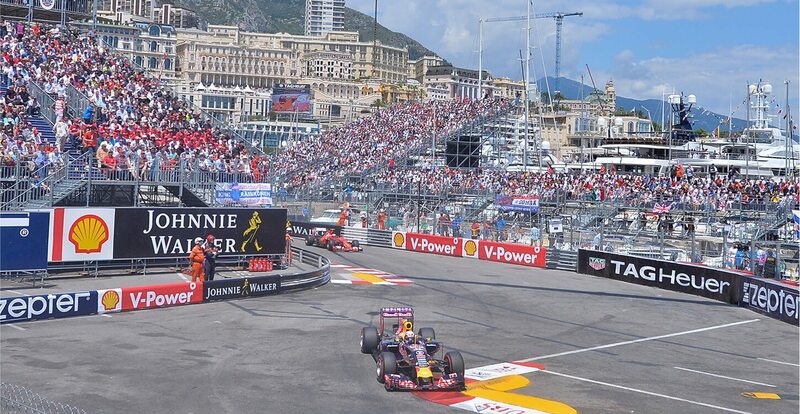 As the saying goes, the best things come in small packages, and nowhere is this more true than Monaco. 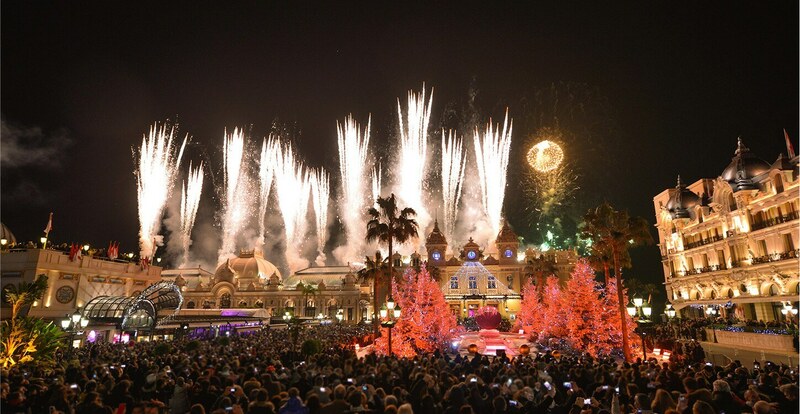 But herein lies the challenge: breaking through the barriers of what people think they know about one of the most glamourous, and simultaneously smallest, countries in the world. 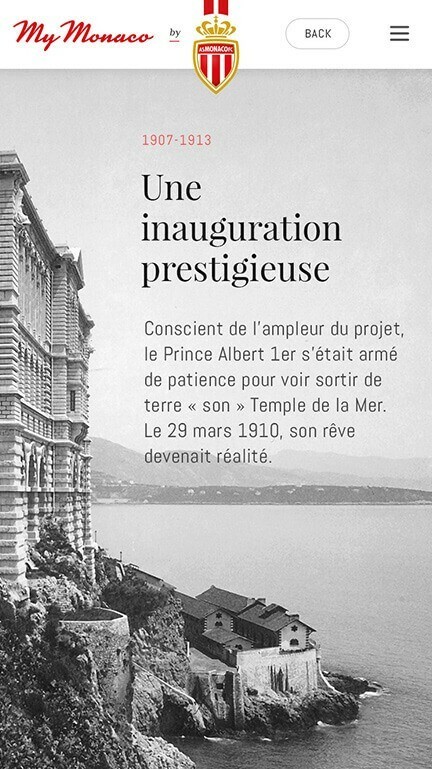 The aim was to make the Principality closer to general public by providing digital access to all its monuments, rich history, and major events. 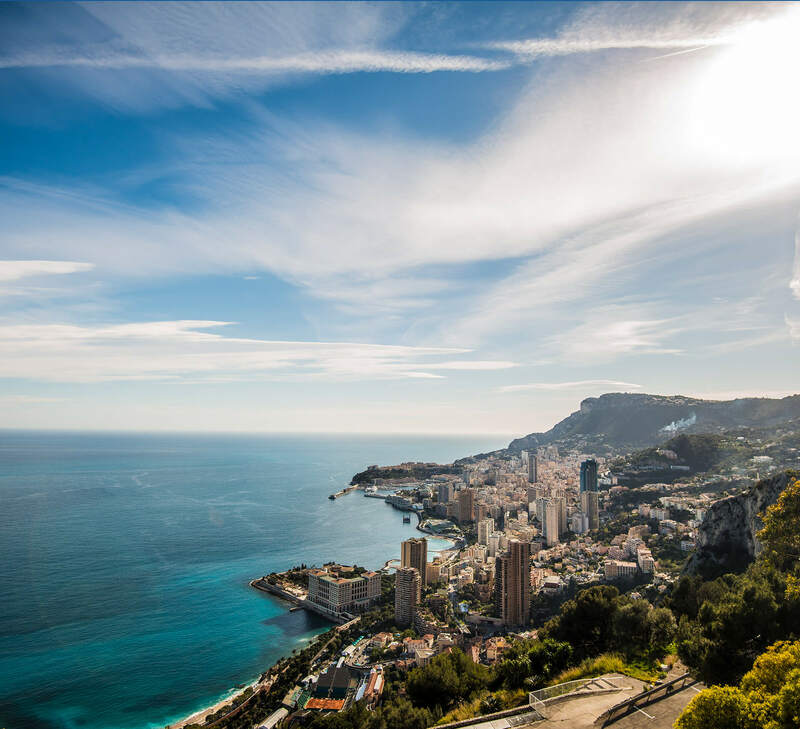 Monaco hardly needs an introduction, as most people know it as famous for “something” - whether that be its illustrious royal family, decadent casinos, or breathtaking beaches. 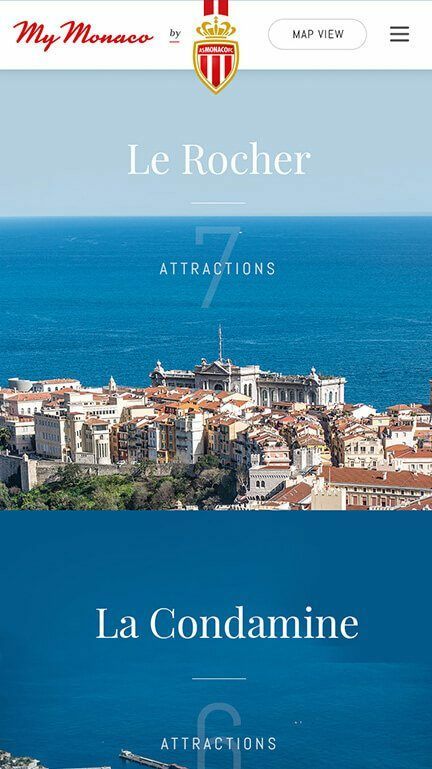 But our goal was to move beyond the surface and take users on a storytelling journey around the places and events that truly make Monaco a dream country both to live in and visit. The final result combined sleek and intuitive navigation with refined design on all devices. 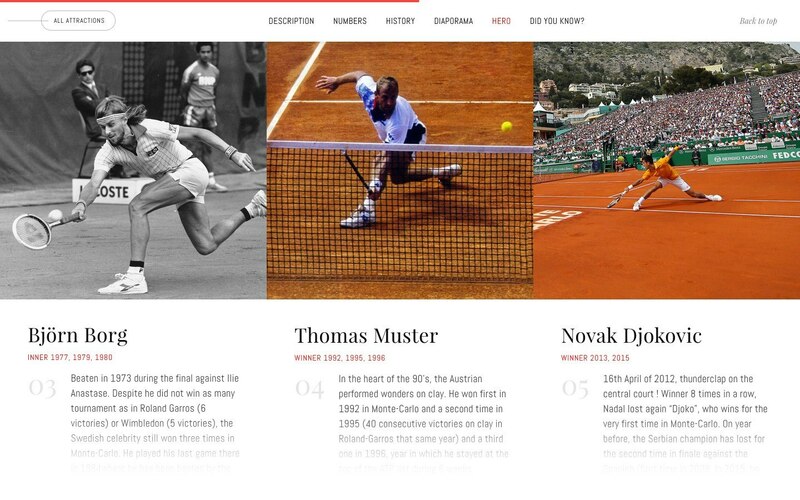 MyMonaco offers unique, mulitlayer way of exploring and discovering the Principality. 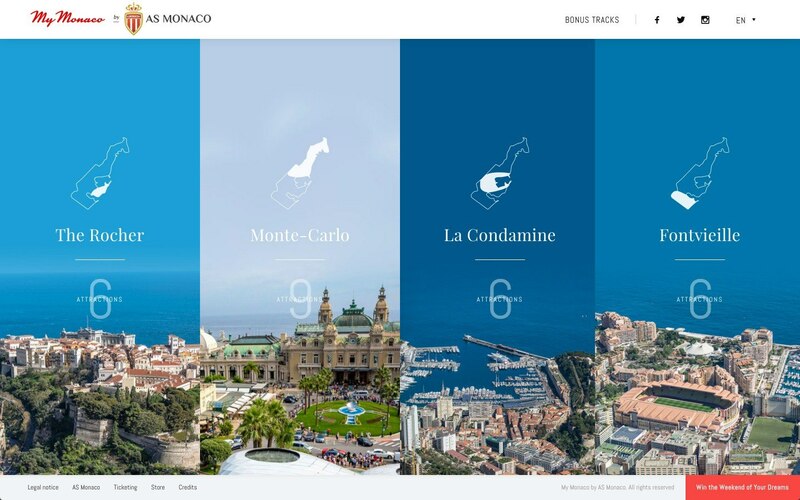 We’ve fundamentally transformed the way potential visitors and residents view and interact with Monaco. 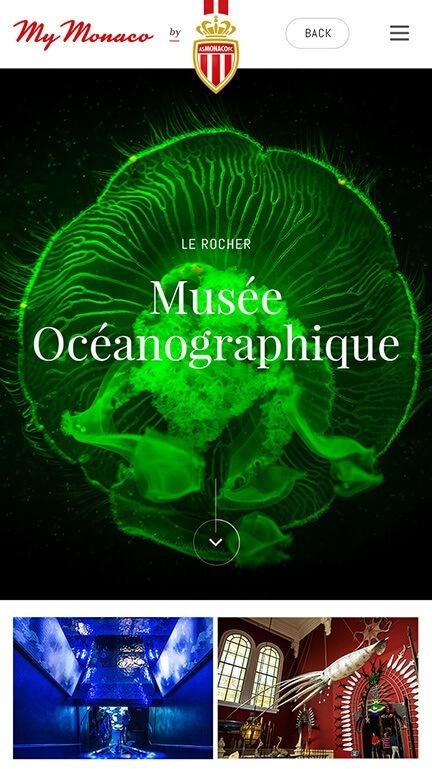 Drawing inspiration from the glitz and glamour of Monaco, we created a dreamy, multi-layered experience for users, heightening anticipation and intrigue at each level and inviting users to go deeper in their exploration. 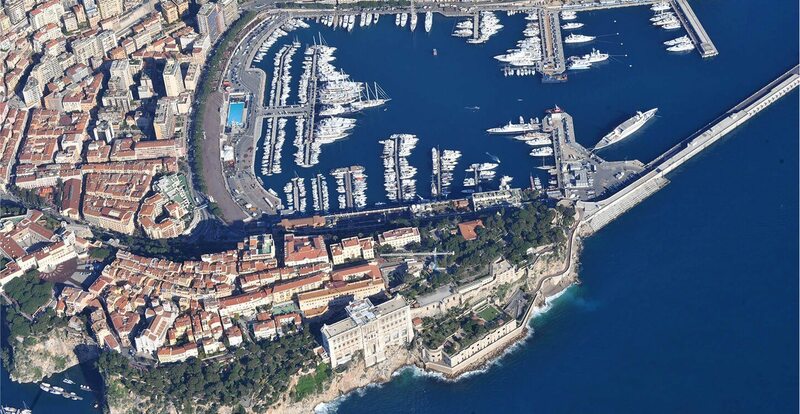 For ease of digital navigation, the Principality was divided into four main areas. 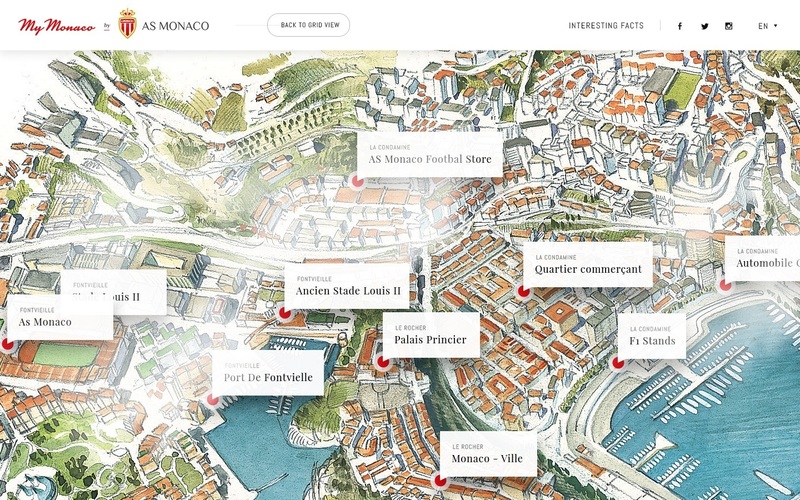 Within each area, we added specific storytelling elements to make the in-depth discovery of mythical Monaco attractions even more alluring. 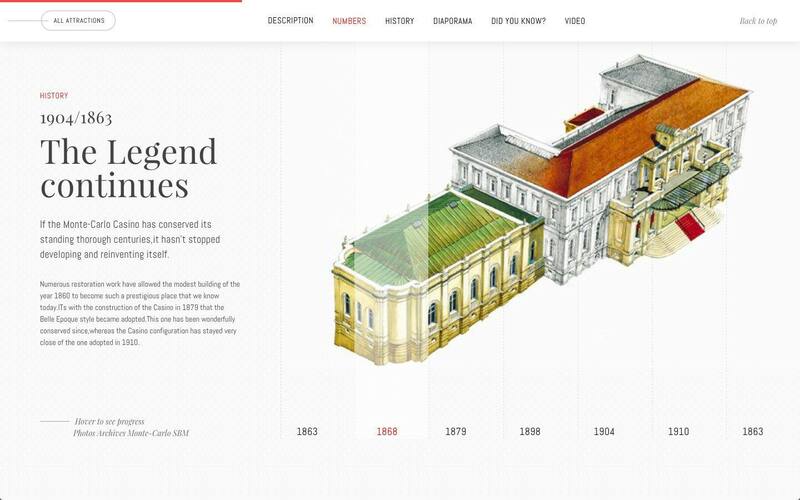 The mission statement was presented in each intro video to enhance user understanding and increase brand awareness. 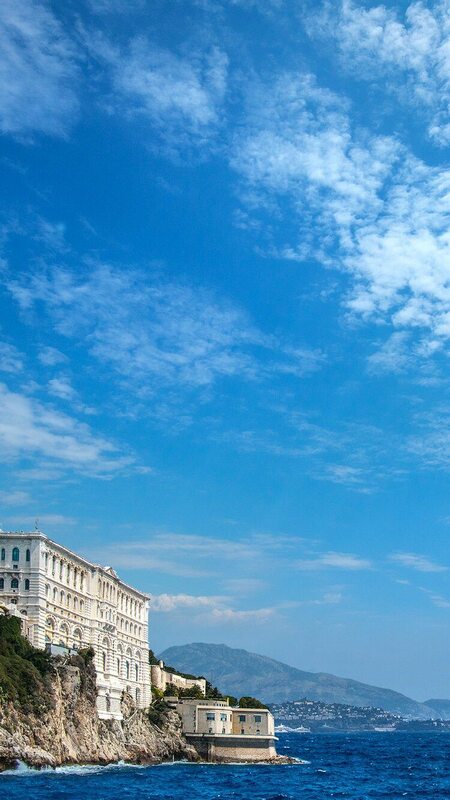 explore Monaco on all screens.